Arts Council England is the national development agency for libraries in England. We do this by investing in, advocating for and developing the capacity of library services alongside our partners, including central and local government who have the statutory responsibility for providing and funding library services. We work as active partners within the Taskforce, often providing the investment that allows those partners to deliver their valuable work – such as the Society of Chief Librarians’ Universal Library Offers, the reading programmes offered by the Reading Agency, and the British Library's Enterprising Libraries programme. Public libraries are free to enter, open to all as spaces where people can explore and share reading, information, knowledge and culture. Those spaces of quiet study and reflection can also be places of wonder, excitement and creativity. They are traditionally storehouses of the world’s knowledge, and they are increasingly making spaces too. So how does the Arts Council make a difference? What attracts most people’s attention is the investment – nearly £20 million since we embraced this role in 2012. 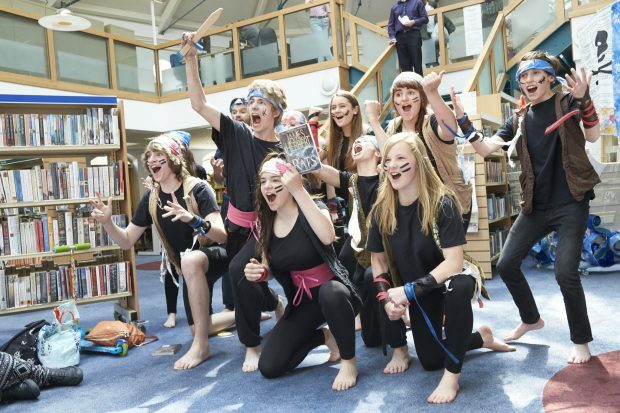 This investment supports libraries and other organisations to deliver arts and cultural activity; projects like Warwickshire’s Fantastic Fun with Words Festival, or the Book Hive. It has enabled important developments in what libraries offer such as free access to WiFi and how it can be used, and commissioned action research and evaluation that demonstrates the value and impact of libraries. Just to be clear, this work is great in its own right but the artistic activity often delivers library service and Council priorities. Some projects address people’s health and well-being, others support people into work, or involve young people in developing new skills. We have a team of Library Relationship Managers who work with libraries across the country to help them in their planning. They share best practice and broker partnerships, alongside advising on investment opportunities from the Arts Council and others. They also advocate for library services within and beyond the Arts Council. This has led to new ways to animate libraries and bring traditional services to new audiences through creative partnerships. Looking forwards, the Arts Council plans to bring libraries into our mainstream work and create new opportunities to test and develop new ideas. Watch this space for more news in early October. Even better, ask your local library what they’re up to. You continue to ignore the key structural, technological, resource management and performance issues faced by the service in many authorities, and especially the 30% decline in adult library usage over the past decade as reported by the DCMS.. Endless reports, consultations and inquiries have highlighted the issues and your previous CEO admitted to the Parliamentary Select Committee that the sector lacked an effective strategy for improvement. What you should be doing is to ensure that the Taskforce urgently develops an effective plan to re-invigorate the service in every authority and attract back those who stopped using libraries. I also suggest that you urgently despatch your "relationship managers" to authorities from Lancashire to Swindon that are struggling to fulfill their statutory duty to provide a comprehensive and efficient service.